Washing Instructions: Cold water/delicate cycle/similar colors/delicate laundry detergent. No bleach. Dryer/low temperature/air-dry cycle or natural. The Sankofa Center is a 501(c)(3) non profit organization combining traditional African dance and music as a tool for HIV/AIDS education and community outreach. All products are skillfully made using fair trade practices by The Sankofa Center's HIV/AIDS community cooperative in Ghana with pride for its purpose. You will not simply go away with great gift merchandise, but rather a symbol of the commitment, love, and goodwill exemplified in their growing family throughout the world. - Ronnie Shaw, Director. 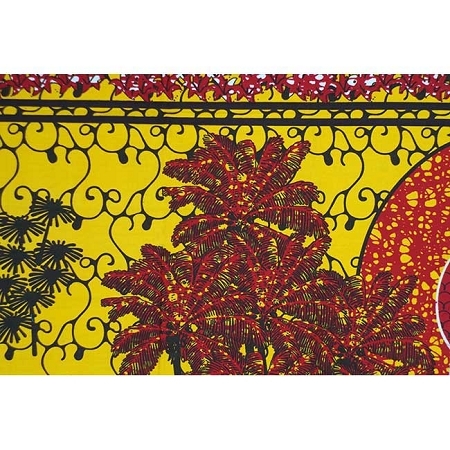 West Africa is thriving with the color, vitality, and culture embodied in African wax print fabric. 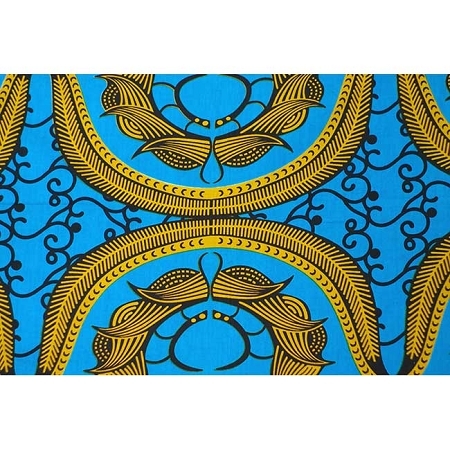 These traditional and unique prints are worn by its people and appreciated worldwide. 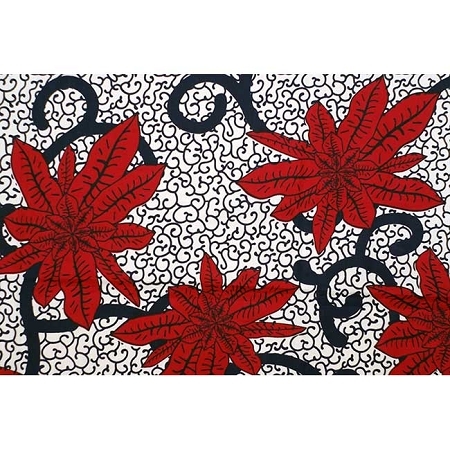 The Sankofa Center worked with skilled artisans in Ghana to create these one-of-a kind contemporary patterns that reflect African heritage. Designed exclusively for the Sankofa Center in the context of their HIV outreach in Africa, each pattern has a special meaning specific to their efforts in Ghana. Signature Fabrics their artisanal globally inspired line is made with 100% wax-printed cotton fabric designed exclusively by Sankofa's co-op in Ghana. Each current collection consists of brilliantly colored fabric using traditional techniques and patterns representative of cultural motifs and meaning. 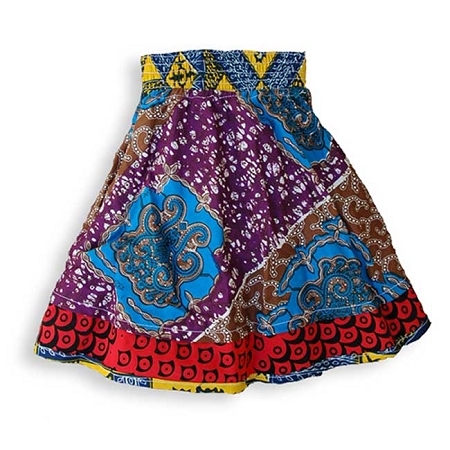 Oozing with style, these cute skirts combine two of our signature wax print cotton fabrics. 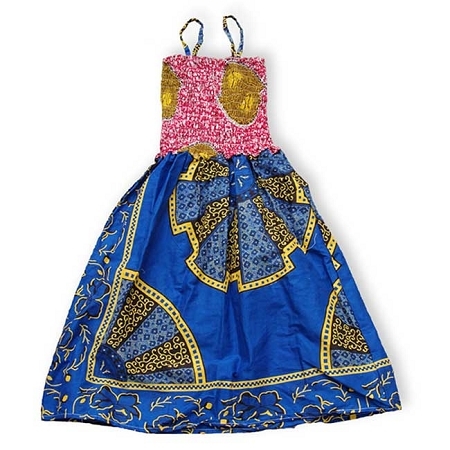 Cute Sundress for little girls in The Sankofa-s current signature prints in cute juxtaposition. In cold water on delicate cycle with similar colors or alone using a delicate laundry detergent. Do not use bleach or any laundry detergent products that may discolor or damage the fabric ! May dry in a dryer on low temperature or air-dry cycle or naturally air dry on a hanger indoors or outdoors. May iron on your lowest heat or most delicate settings or leave it as it is after it dried without ironing. This vivid pattern expresses the sense of community we should appreciate as we share each sunrise. There is an unmistakable sense of hope with each new day that we are fortunate enough to witness. Whether we face challenges great or small- today there is hope. This print expresses the royal heart, which is synonymous with understanding and forgiveness. 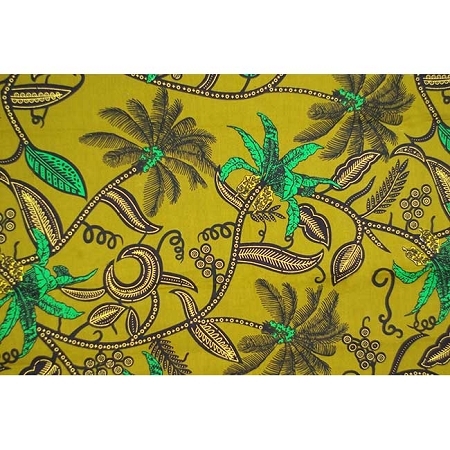 This earthtone fabric acknowledges that we all come from one source. We need to put aside differences and reflect upon what bonds us together, a key element of stigma and discrimination reduction. In the forest of Kakum, in the Western Region of Ghana, lay trees that have been used for medicinal purposes for generations. 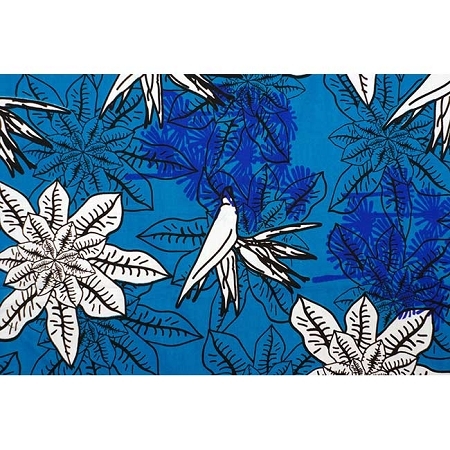 This fabric evokes the historic connection between the health of our rain forest and our own well-being. Flora provides present and future sources and secrets of healing. This fabric calls for people to communicate in all relationships to reduce risk of disease transmission and foster understanding. We promote HIV couples testing as an act of love, not mistrust. Each beautiful petal is actually a set of lips waiting to talk to you!